EUR/USD: Neutral: Diminished odds for extension to 1.0450/55. We highlighted last Friday that “only a move back above 1.0620 would indicate that the immediate downward pressure has eased”. EUR hit a high of 1.0617 during NY hours but eased off from there. However, the pull-back from the top is clearly lacking in momentum and while the immediate pressure is still on the downside, the odds for another leg lower to 1.0450/55 are not high (last week’s 1.0590/95 is already a very strong support). Key short-term resistance remains at 1.0620 for now. The sudden reversal from a high of 1.2570 last Friday and the sharply lower opening early this morning came as a surprise. The rapid swing lower has shifted the pressure to the downside and the current pull-back has scope to extend lower to month-to-date low at 1.2345/50. This is a rather strong support and at this stage, a sustained move below this level is not expected. Overall, GBP is expected to stay under pressure in the next few days unless it can reclaim 1.2540 (1.2500 is already a very strong shorter-term resistance). AUD/USD: Bullish: To take half profit at 0.7775/80. The stop-loss for our bullish view at 0.7660 is barely intact as AUD touched a low of 0.7662 earlier. 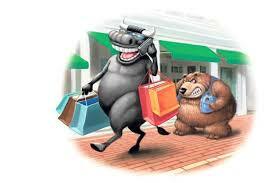 It is increasingly likely that the 3-week bullish phase is coming to an end. Only a sustained move back above 0.7710 would improve the prospect for another leg higher to 0.7775/80. NZD/USD: Neutral: Back in range, likely between 0.7130 and 0.7260. NZD eased off quickly without testing the major 0.7290 resistance (high of 0.7238 last Friday). The short-term upward pressure has eased and this pair has likely moved back into a consolidation phase, likely between 0.7130 and 0.7260. USD/JPY: Neutral: Room for a test of major 111.55/60 support. While we indicated that a test of 112.30 would not be surprising, the ease of which this strong support was taken out was unexpected (low of 111.91 on Friday). The pressure is still on the downside and there is room for the current weakness to extend lower towards the major 111.55/60 support (low seen earlier this month). Stabilization is only upon a move back above 113.00.